Your New TK Maxx Cardiff Newport Road is NOW OPEN! 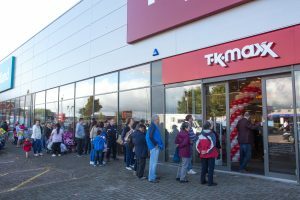 ­­The eagerly awaited TK Maxx Cardiff Newport Road store opened its doors to hundreds of excited shoppers this morning. 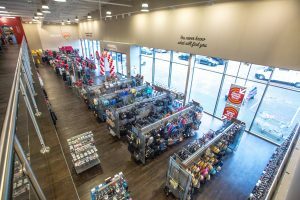 The brand new store offers the hottest brand name and designer products of the season, from fashion for the entire family to accessories beauty and home, all at amazing value. 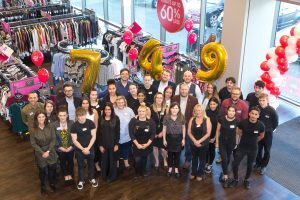 TK Maxx offers a treasure hunt shopping experience with a huge choice of designer gems, all at up to 60% less than the RRP, and a significant discount to the price in a department store or on the high street, every single day. Once you walk through the doors, you never know what you might find. With several deliveries arriving every week bringing thousands of new items to store there is always something new to discover. TK Maxx buyers are on the hunt around the globe to find the very best designer products of the season at the very best prices.